Recognition of the self when another is talking about the self’s own experiences is necessary, to draw forth compassion for another, for chances are the self has experienced similarly in previous, if not the current, lifetime. Failure to draw the correlation between the self’s experiences and the experience of another results in lost opportunity wherein the self continues forward with knowledge, failing to understand that which another is suffering. It is important to recognize the self - as the self has been, as the self is this day, and as the self that you currently are seeking to become - to recognize the differences, to recognize the choices that have been made that have resulted in change that is favorable to the self’s progress upon the path to healing. The goal of the Teacher is to draw forth that which lies within the self – both darkness and light, both positive and negative. It is to enable true understanding, true knowledge of the self that is the goal. The student that is able to walk with willingness, humility, love is the student that is capable of integrating the lessons rapidly. Doubt and suspicion have been purposefully implanted within this group to teach each of that which will be encountered by the self in the majority of those that you will meet and attempt to assist. It is only those that can overcome the doubt and mistrust that the self will step forth and extend the hand and offer to teach. This is a perfect example of the ego, my sister, distracting the focus, drawing you emotionally into a state of mind that does not understand the purpose of this planet, for this planet is strong and shall continue for a time that is incomprehensible to most humans. This planet is a school for learning - all that come here understand that it is to learn. All that which is known prior to arriving has been removed, is no longer accessible to the consciousness (that is conscious) until the lessons have been learned, until the lesson plan has been cast off, recognized for the detriment that it has caused to the self, as well as all those around the self that is encountering lesson. All humans encounter lesson until they have learned to love without condition, to accept universally; it is these that then step forth, returning to this planet again and again and again, to aid - to aid those who are caught in the cycle of death and rebirth. It is important to understand the purpose of this planet. The purpose of your presence upon this planet, my student, is to learn. I am with you. I am Kuthumi. I ask that each of you focus upon the heart. It is my desire to teach, to aid humanity. I seek nothing in return. It is important to understand that Te' Auna is learning to house a portion of my consciousness so that teachings may be drawn forth that will aid humanity. It will take some time for her to learn that the body must be completely calm, the mind completely focused upon the provision of service. I shall provide a short teaching that is focused upon the relationship of the student and the physical teacher. It is to recognize that the physical teacher that has been drawn to the self has been chosen by the inner Teacher and often agreed upon by the consciousness when planning the lifetime. This is not to say that the teacher and the student cross paths every time it has been planned to do so; however, all possible has been done to create the circumstance that places the teacher upon the path of the student at the most appropriate time. The student that has been prepared appropriately subconsciously will recognize the teacher as one that has been seen in the astral; the connection will be immediate – the response one of adoration or one of fear, sometimes a combination of the two is experienced. The inner Teacher will continue to work with the student on the astral plane to prepare the student for the lessons that are about to begin upon this earth plane now that the physical teacher has been brought to the self. Failure to recognize the teacher results in delay for most students. It is most important for the student to recognize that the physical teacher remains unhealed; there are many upon this earth plane that attempt to use the platform of teacher as one that enables control, manipulation and inappropriate use of the energies belonging to the student – those energies brought forth willingly by the student and showered upon the teacher. The teacher that has learned that teaching holds the greatest responsibility upon this earth plane of all other activities will recognize that the energy must be returned immediately to the student in kind. Negative energy that is sent towards the teacher need be returned to the student to teach; positive energy is returned exponentially, once again to teach. The student that fails to recognize the sacrifice made by the physical teacher is one that is, shall we say, doomed to walk in the footsteps of the teacher, to experience all that the teacher has experienced. The student that is awake, alert, and remains aware will be capable of learning through the experiences of the teacher; this is the student that moves rapidly forward upon the path to healing. The goal for the student is awareness, is to cultivate the ability to listen deeply, to question more deeply, to weigh all that is provided, to question again and again and again, until understanding has been accomplished. This is the duty of the student, for this action aids the teacher in honing the skills that are needed to teach others in future. To understand that the teachings provided by Te' Auna are those that have been learned by one who is a student just like the self makes it possible for the self to see the self in future; the self today who fails to recognize, fails to see the self, fails to recognize or to understand the lesson – this self, in future, teaching another how to recognize, how to understand that which is being experienced by the self. The time necessary for this transition lies with the self’s commitment, the self’s dedication, the self’s desire to be different. Failure to commit the self and to step forth each time the Teacher provides opportunity states that the transition time can be prolonged. It is important for each student to survey the self to determine the blockages that lie within the self that prohibit the self from learning. The number one cause of student failure is failure to listen to the Teacher. It is important for all students to recognize, all those present, that you have received the endorsement of myself for great purpose - that is to share with others the self’s journey; failure to do so states that the self has failed to recognize the value of the support that has been received by the self that is, most assuredly, uncommon – that which is not typically received by one who is beginning to walk the path to healing. It is to recognize that the self has been drawn to this circle for great purpose – to know and to heal the self, to place the self firmly upon the path, to begin to cancel karmic callings by endorsing the path of another. It is indeed uncommon that students would receive personal counsel to the degree that each of you have experienced. It is to draw forth recognition that you each are benefitting from the training being provided to Te' Auna, for she is being taught to teach. In order to learn how to teach, one must teach. It is my presence that raises the internal frequencies, increasing the vibration of all bodies, increasing sensitivity. All teachers are taught utilizing this process. To know the self is to see the self, to see the self is to understand the self, to understand the self is to learn, to learn is to teach – this is the obligation set by each student as they walk the path to healing. 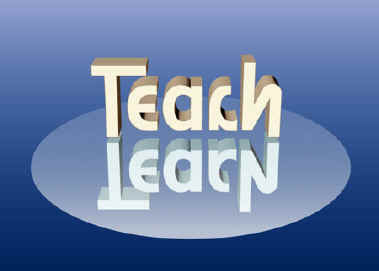 It is to learn, that is the goal of the student; it is to teach, that is the goal of the Teacher. Teach/learn, learn/teach – this is the process that is followed by all consciousnesses throughout space, throughout time. To learn and then to teach, for learning fuels the desire of the self to share with another. Those who do not share have yet to learn, those who share inappropriately believe that the self has learned; yet, this is still far better than one who fails to share, for it provides opportunity to the other to question, to delve, to choose for the self. I am Osiris. I am the Teacher that draws forth the wisdom that lies within the self, for it is all things that need be brought to the surface, that need be understood by the self – those things positive as well as those things negative. It is important to understand the potential that lies within all humans to bring forth that which has been learned by the self to another. All humans have the potential to bring forth love, to bring forth light, which is merely a higher vibration - one that is visible, one that can be seen - of love. It is to recognize the desire of the self to know, to understand, and to heal the self, so that the self may then bring forth the knowledge, the wisdom that is now resident within to aid another in doing the same.